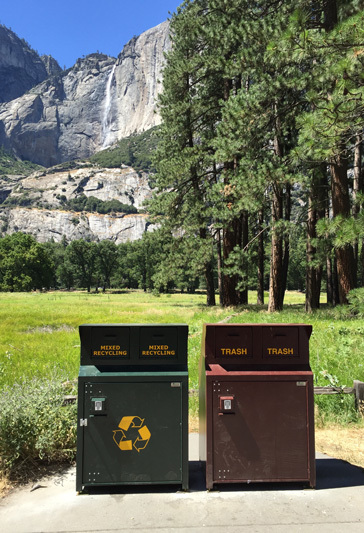 Yosemite is trying to send less trash to the local county landfill, which is filling up quickly. You can help! Over four million visitors come to Yosemite National Park every year. Between visitors and park staff we end up with nearly 2,200 tons of garbage annually. This is not the legacy anyone intends to leave behind. In the late winter/early spring of 2016, Yosemite launched an exciting new program to do something about it: the Zero Landfill Initiative. 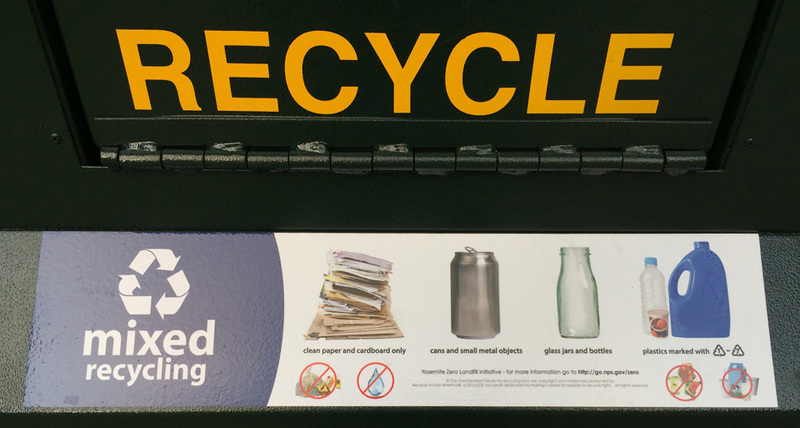 With help from Subaru of America (Subaru), the National Parks Conservation Association (NPCA), and the Yosemite Conservancy, the park set an ambitious target of diverting 80% of our waste from the landfill by the end of 2017. Subaru, a Centennial partner of the National Park Service, was approached by the NPCA to see if the company’s expertise in waste management could be used to help the national parks. Subaru’s Indiana facility led the auto industry, becoming the first zero landfill auto assembly plant in the United States in 2004. 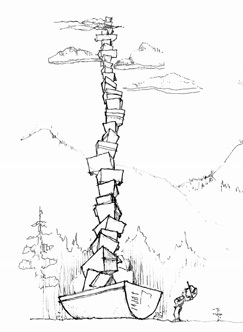 Since that time, Subaru has been consulted by many businesses for advice on how to follow in its zero waste footsteps. Over the next three years, in partnership with NPCA, Subaru will bring its expertise in a pilot program with three national parks, Yosemite, Denali, and Grand Teton, to help us reach our own waste reduction goals.